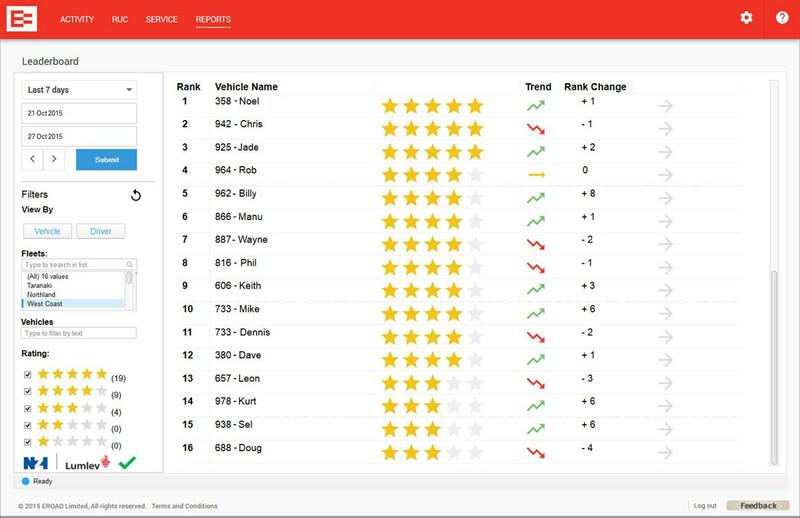 With this release, we introduce a driver-centric view of the Leaderboard allowing you to not only rank your vehicles but your drivers who use EROAD Driver ID units or the EROAD Electronic Logbook application on mobile devices. Depot now displays street numbers in built-up areas supporting more accurate vehicle tracking and validation of proof of service. Street numbers are available in maps, Daily Activity Report, Event Log and all areas in Depot that display street addresses. We have now retired our Fuel Consumption Report and recommend you use the Fuel Efficiency Report. It includes the same information – and then some! If you have the Fuel Consumption Report scheduled into your email inbox, you will still receive it until the end of the year. Please get in touch if you have any questions. This month we made some enhancements to our vehicle booking system, U Book-It. If a vehicle is returned early, it can now be automatically released back into the pool using customisable base return timeout settings. You can set ‘Available hours’ for a vehicle, so it can only be booked in office hours if required.